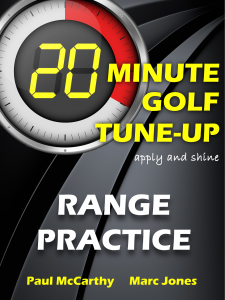 Many golfers practise poorly on the range/putting green. Fact. They whack a bucket of balls for an hour but then report that their newly-honed skills do not transfer to the course. In this 20 Minute Tune-Up, we shall explore how to practise with a plan, with purpose and a positive mindset, the value of mixing things up, and more. Confidence is our belief in our ability to succeed in our challenges. Golf presents many challenges, and golfers who win the most are usually the most confident. Confident golfers improve their performances, score better, and enjoy the game more. 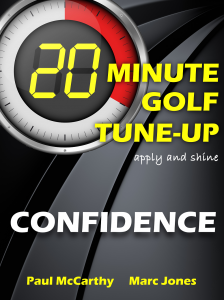 Golfers who lack confidence score poorly, worry more, and fear the game of golf. But because confidence is a belief, we can learn to change it and learn to be confident. This book is designed to help golfers overcome their nerves and boost their concentration levels. Through the examination of commonly experienced scenarios, readers will soon be playing better, more effective golf. Ruminating on errors and letting annoyances take hold are sure-fire ways of imploding on a round. This book is designed to help golfers tackle the insidious effects that mistakes and frustration can have on performance. Through the examination of commonly experienced scenarios, readers will soon be playing better, more effective golf. This book is designed to help golfers tackle problems and issues with putting. For putting to be most effective, a golfer’s action needs to be as smooth and unconscious as possible. This Pre-Shot book looks at what golfers can do before they get onto the course (goal-setting, self-reflection, imagery) and when playing (the crucial pre-shot routine itself). Effective pre-shot routines (as well as post-shot, and post-mistake routines) enable golfers to play their best golf when it matters most. Implementing the techniques listed in this book will help provide effective preparation, and a structure that leads to increased focus, better practice, smoother actions, and a heightened control of distractions. 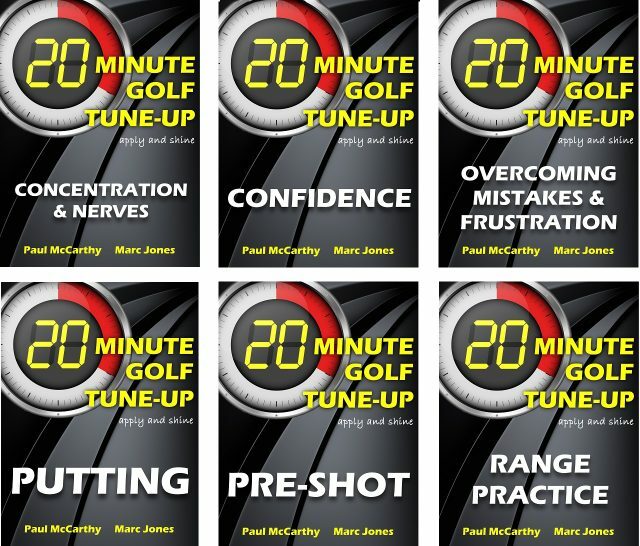 This book and the techniques within – in the space of a 20-minute read – will help identify and cement your pre-shot activities and routines, and improve your golf game. These books use condensed and curated content from the authors’ acclaimed title The Successful Golfer; if you already have a copy of The Successful Golfer, please do not purchase these titles, there is content overlap. Dr Paul McCarthy is the first-ever resident Sport Psychologist at the home of golf – St Andrews Links – and a Lecturer in Psychology at Glasgow Caledonian University. He consults with golfers at all levels – amateur and professional – especially those playing on the European Tour, Challenge Tour and Ladies European Tour. Dr Marc Jones is a Professor in Sport and Exercise Psychology at Staffordshire University and Associate Dean. He has published over forty academic papers mostly in the area of stress and emotion. He is a registered Sport Psychologist (HCPC) and is currently working as a consultant in professional football and golf. Book Categories: Golf and Sport Psychology.